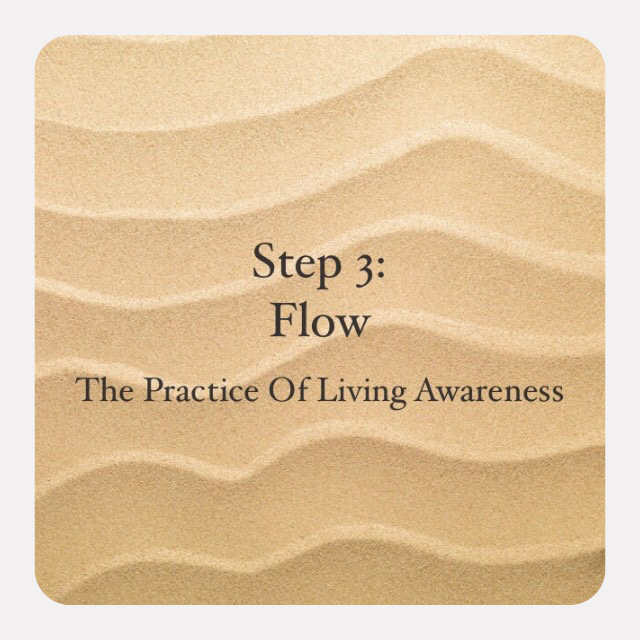 ​The steps of The Practice of Living Awareness comprise a comprehensive meditation practice designed to bring awareness to the forefront of your day. Consider each one of these steps a tool to be used in any moment, on and off of the meditation cushion, to bring clarity of mind and gentleness of spirit. 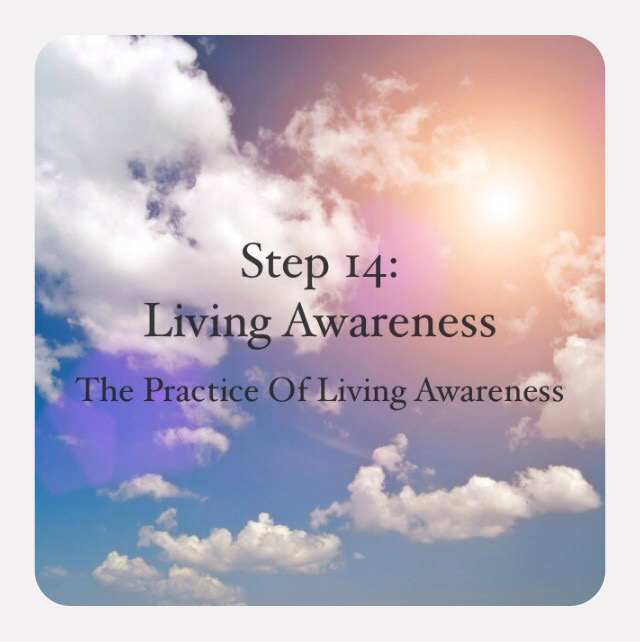 The Practice of Living Awareness occurs in "rounds", which occur three times a year. A "round" of our online meditation lasts 14 weeks... each week we will cover a new step with three, 20-minute guided meditations: Monday's meditation introduces the step, Wednesday's meditation explores the step further, and on Friday we will meditate on ways to apply the step to everyday life. Each step is described in detail below. 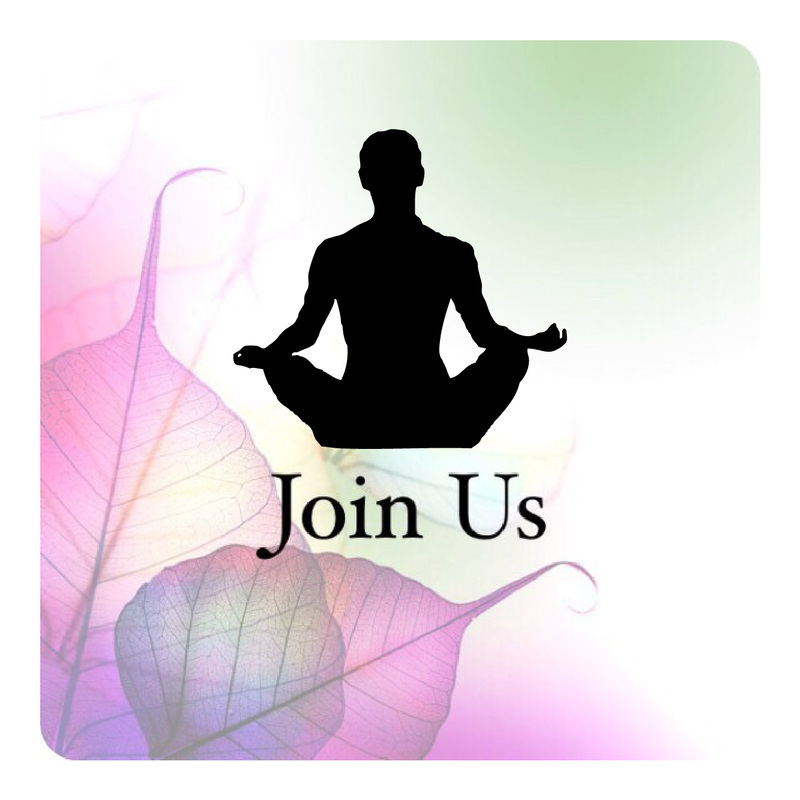 And be sure to register to begin meditating with us! "Smile and take a long, slow, deep breath." 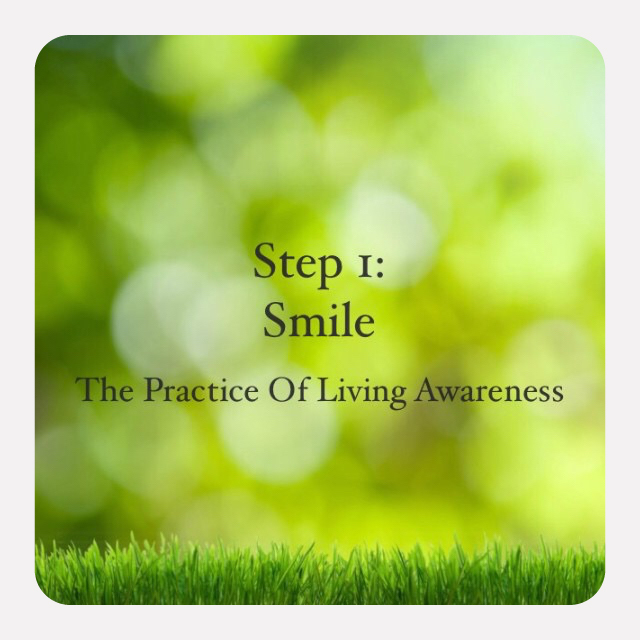 A smile is the first element of the Practice of Living Awareness. Just as meditation changes everything, a smile does too: emotionally, biologically, and mentally. As the smile lifts upwards, it invites spiritual transformation. Change happens with a smile. And so we smile and take a long, slow, deep breath as the practice begins. reverberates through the personal energy centers (chakras) as the base, sacral, and solar plexus centers hold the vibration of ease, safety, and self-assurance. "Notice the usually not noticed." Maintaining a point of focus is cultivated through this step. And the tip of the nose is a perfect example of this. It is the meeting point of the inner and the outer. The vastitude of air that is available to you meets the focused entry point of your breath at the tip of the nose. We begin to register that there is much more going on at any moment than we usually notice. As a result, we begin to register the more-ness of the moment, and awareness itself. brings the subtle systems "online"
"We breath in and we breath out." 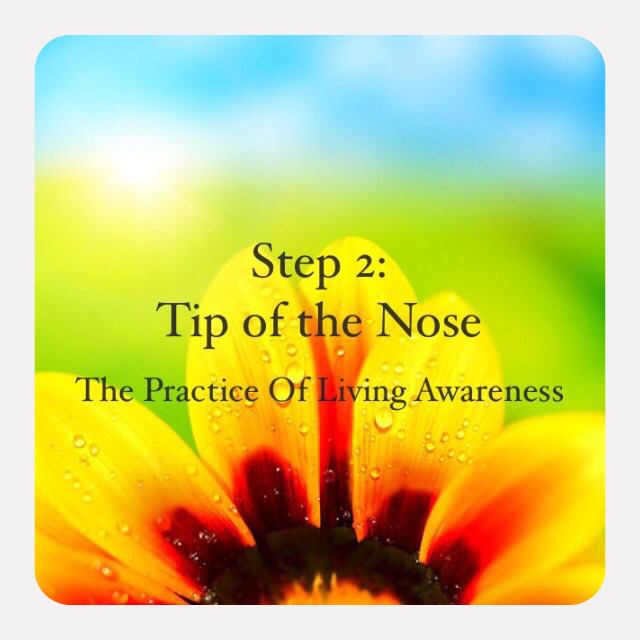 Building on steps 1 and 2, this step brings attention to the natural and gentle flow of the breath. We are always breathing and breath's rhythm is constant.This aligns us with the natural rhythms of life: the cycle of seasons, the flow of rivers, the rise and fall of waves, and the migration of animals - each highlighting the Universal principle of impermanence. All things come and go, not unlike the breath. Just as focusing on the tip of the nose stabilizes the mind, joining the gentle rhythm of the breath stabilizes the emotions.Flow begins to permeate our thoughts and our awareness. We sense that rhythm is constant in our existence. We become aware of the bigger picture and discover that everything is relative. leads to less reactiveness by letting go of "the small stuff"
"We soften so as to open, we open so as to receive." 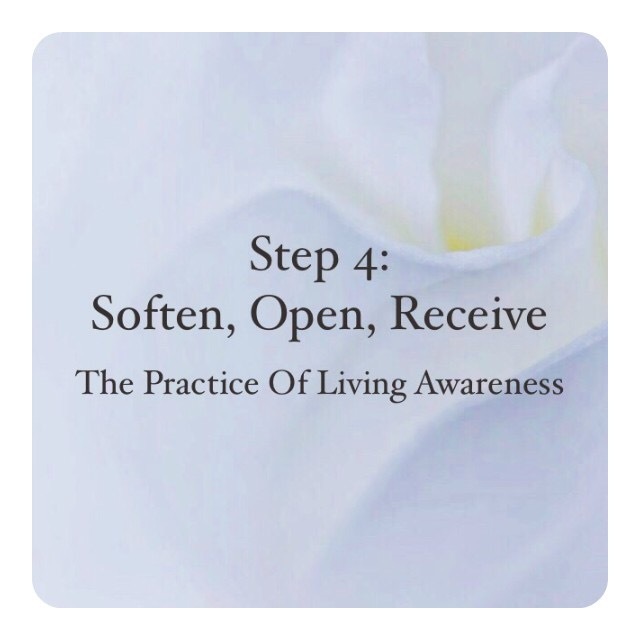 Step four teaches the process of receiving. We receive a new breath every few seconds... there are great teachings within this natural occurrence. Softening makes one receptive and magnetic to meditative experiences. Softening is necessary to experience union. "The Autumn leaf rejoices in its release." Up to this point the practice has taught us to breathe consciously with a smile and with flow; to focus on receiving and releasing. 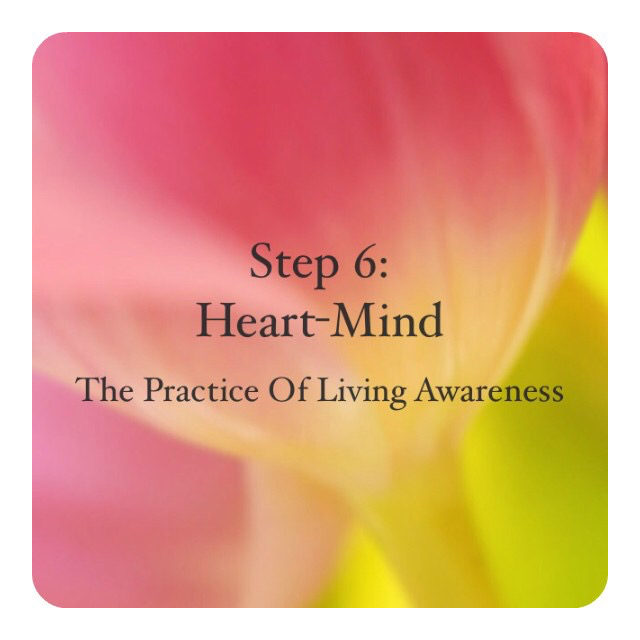 Through these steps the interconnectedness of life is vibrantly apparent and directly experienced each time we meditate. In the Tibetan language there is only one word for both heart and mind, and when a Tibetan speaks of mind, he or she will often point to the heart. As we begin to experience this truth from within, we experience another level of smile, of the coming and going of the breath, and of the ability within ourselves to let go and be more heart-full. This is what is meant by mindfulness. "Meditation is an experience, not a thought process." 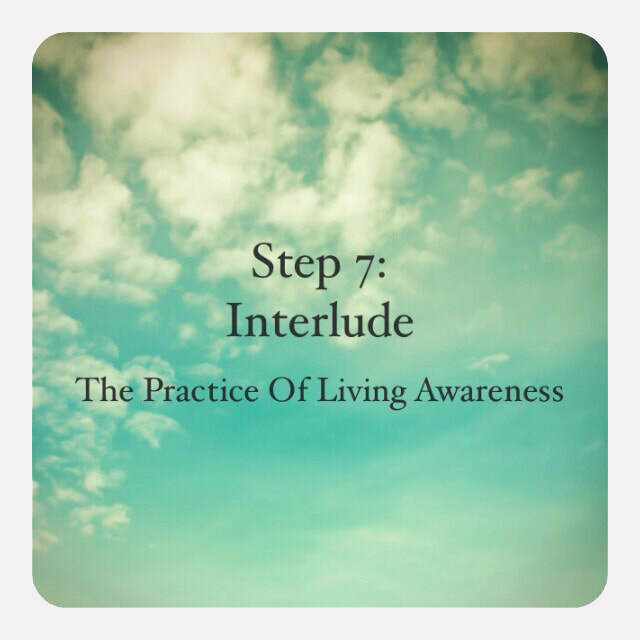 We simply pause for step 7 to allow steps 1 through 6 to find their productive connectedness in the whole of our meditation practice. We begin to experience the efficacy of the steps we've learned and we begin to recognize that, in fact, we are learning to meditate. Interludes are important, they are integrative. An interlude has no agenda other than itself, it is a space between. We also begin to grow comfortable with the space that is not being filled by words or tasks. We allow ourselves to simply be present and comfortable. “We support our meditation by fully including the body." With Step 8, we bring attention to the physical body. It is a common misconception that meditation is a way to escape or "check out" from physical reality. We would say that the contrary is true, that meditation is the full immersion into the now, and that includes the body, the mind, and the spirit. As we more effectively include our body in meditation sittings, our meditations will immediately improve. 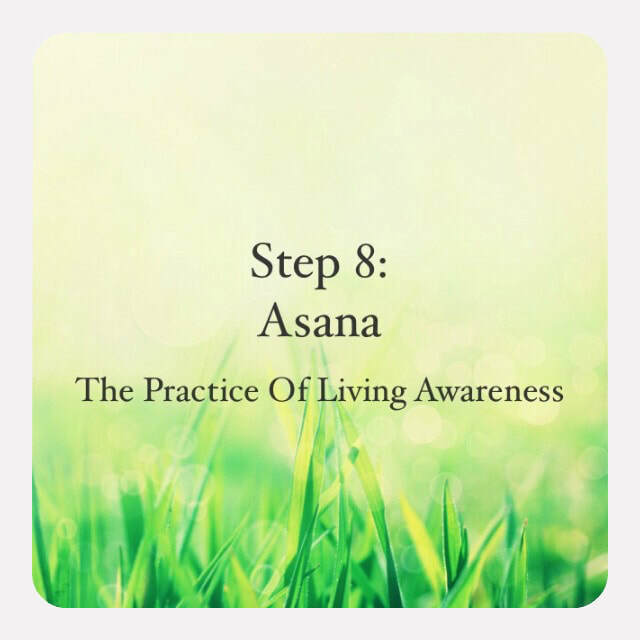 Asana is a sanskrit word that refers to one's sitting position. We would extend that to include one's posture in life. Our physical body is a resource, it will provide us with much information on our state of being. The first half of the practice has delivered the tools necessary to establish shamatha, or peaceful abiding. The second half leads one to a greater understanding of vipassyana, or penetrating insight. When these two methods or states of being are effectively combined, a Living Awareness unfolds. 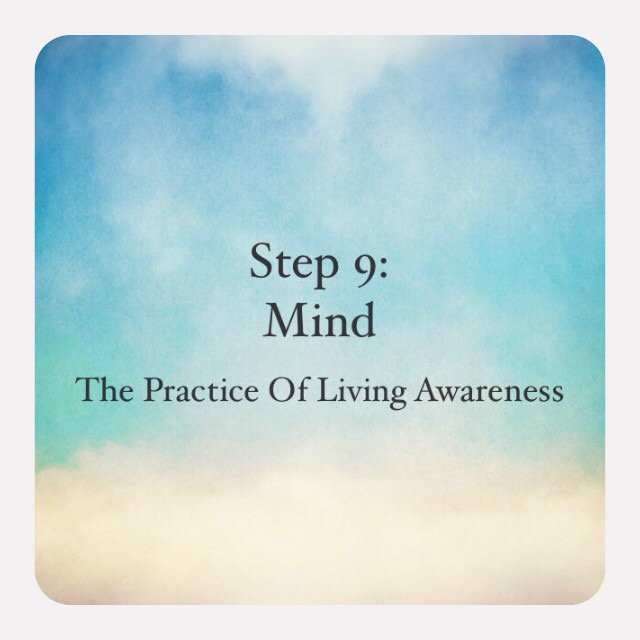 Step 9 explores the basic qualities of the mind, many of which our practice has already made us familiar with... the contracting mind, the expanding mind, the emptying mind. 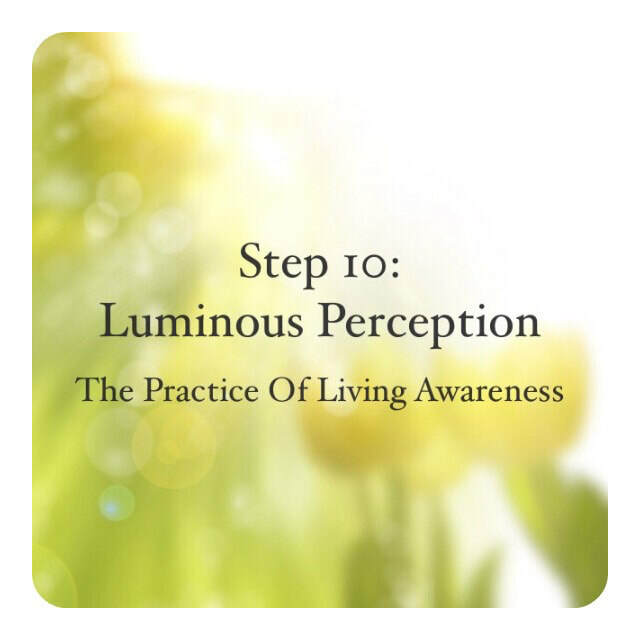 Luminous Perception is Step 10. Luminous perception is both a result and a fact. In The Practice, it is a result of “noticing the usually not noticed.” As one notices more of the wonders of life, then the sparkle of energy and the radiance that is everywhere, all of the time, can be brought to one's awareness. The luminous nature of reality becomes self-evident. This is an ongoing awakening to life. The lightness and vibrancy that one perceives increases the vibrancy and brightness of mind, demeanor, creative inspiration, and problem solving. 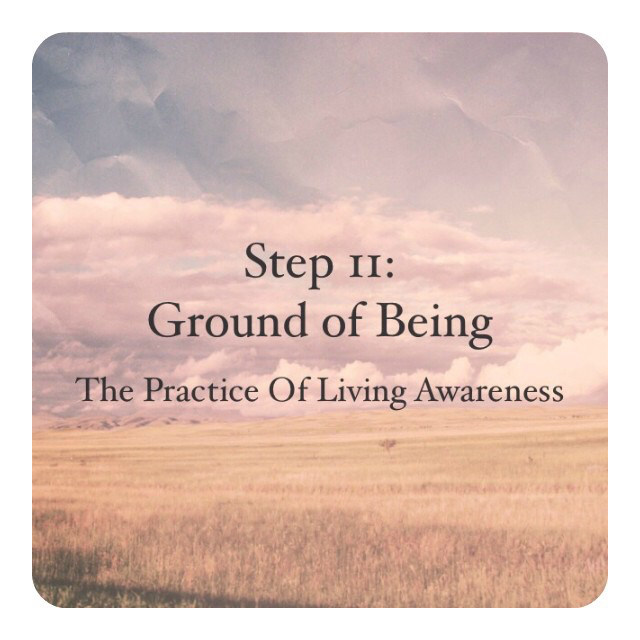 Step 11 explores the ground on which our being sits, or the various bodies (physical, emotional, mental, spiritual) in which our consciousness expresses. Luminous perception must have a place to preside; and it does, this place is you, or your being. We have an energetic root system which allows for us to move about the world in a physical body while being an expression of an ever-expanding consciousness. As we reinforce our ground of being, we offer the stability necessary for that expression to constantly grow, engage, and evolve. Step 12 brings awareness to the stream of energy that moves along the spine connecting the energy centers to higher levels of consciousness. Body and ground are now a part of our meditation training, providing the stability necessary to focus on some of the inner energy sciences of The Practice of Living Awareness. The mind, the body, and the subtle energy systems have been incrementally prepared for the last few steps of the practice. The central channel is core within. It energetically connects the above to the below, and vice versa.It is the subtle energetic reason why a backbone and central nerve exist; they are the dense forms of the subtle central channel. Five of the seven primary chakra centers are aligned along the central channel, and the central channel is the primary avenue of alignment with the higher Self (Soul or beyond), and of the infusion of the higher vibrations of Soul and beyond to calibrate and integrate into a person. "Life is one. All beings are One." 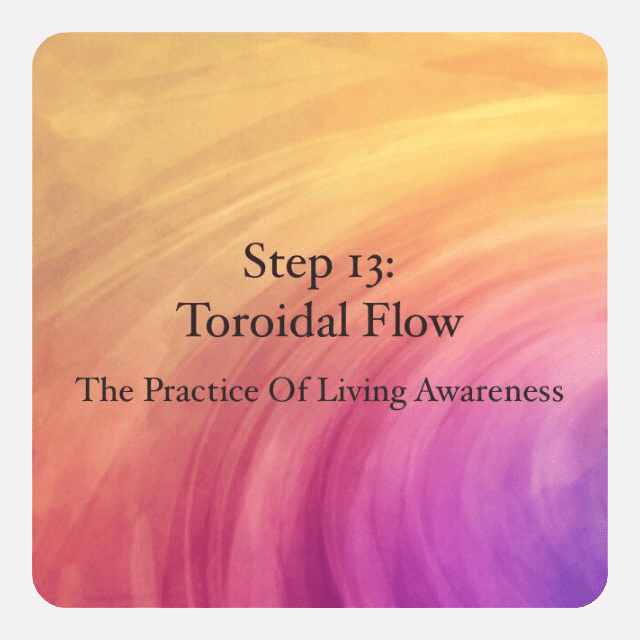 Toroidal flow is experienced in step 13. This is related to the spiral flow of everything from the water going down a drain, to the exchange of blood to and from our heart, to to the spiral arms of a galaxy. The truth is that we are a mini-galaxy with similar internal properties. Our energy centers are toruses, ensuring the constant, dynamic exchange of awareness and experience that is a human being. integrates the spiritual with the "every day"
"I am a source of clear light." Ultimately, the result of all meditation practices is an increase of awareness. This is called by many names: mindfulness, peace, detachment, wonder, compassion, wisdom, well-being. The Practice of Living Awareness is designed to bring forward the awareness that is innate in all of us. At this step, step 14, meditation has done its work. Life is now our Practice of Living Awareness. Learning to meditate requires time, effort, and dedication. More importantly, it requires the choice to give yourself something which only you can give – the gift of awareness. As that choice becomes forefront in your life, you become part of the energy that can change the world. Together, these steps comprise a comprehensive meditation practice designed to bring awareness to the forefront of your day. Consider each one of these steps a tool to be used in any moment to bring clarity of mind and gentleness of spirit. The Practice of Living Awareness for every level of practitioner including the beginner or person looking to refresh an existing practice. In addition, we offer a monthly Full Moon Meditation open to everyone.